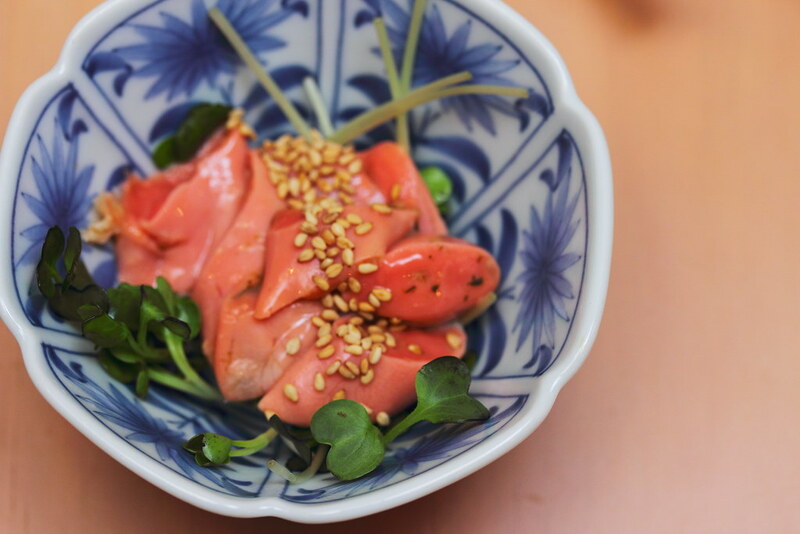 For a true blue izakaya experience from Hokkaido, diners will be transported to the northern part of Japan with the opening of Hokkaido Izakaya at Tanjong Pagar Road. Hokkaido Izakaya gets its produce from just four cities in Yakumo Town, Furano City, Kamishihoro City and Akkeshi Town, promoting the produces from Hokkaido. 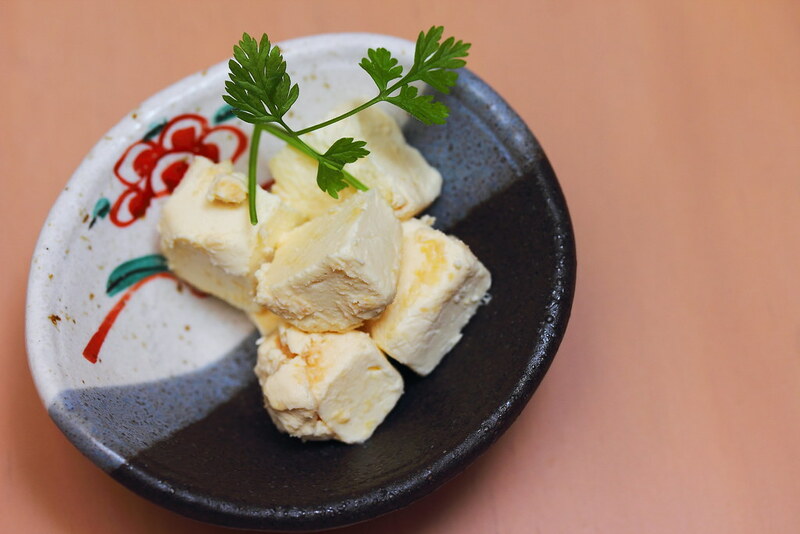 Cheese marinated with miso, that is something quite special. The Cream Cheese Marinated with Miso ($7) is rather unique in taste. It remembers me of the Chinese fermented beancurd. 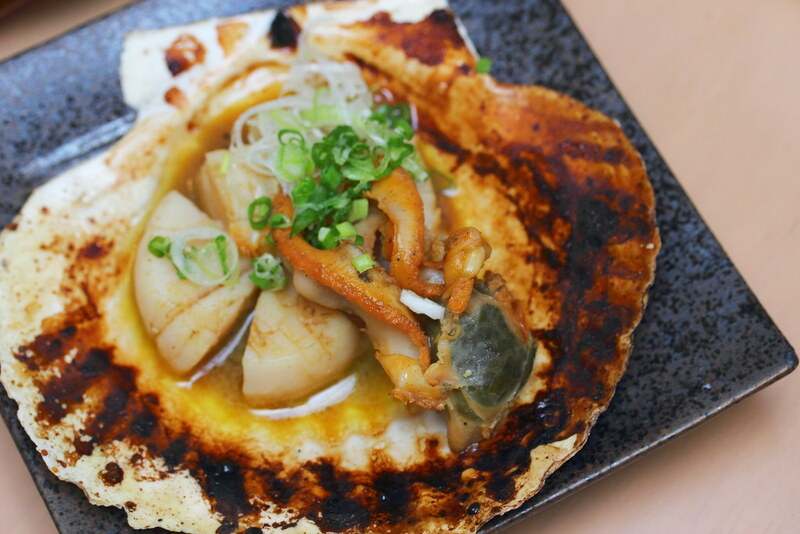 I have never know that scallop has liver. So I was very curious when I was presented with the dish, Scallop Liver with Sesame Oil ($9). It felt like having foie gras. I am glad to be able to experience it, getting another tick for my my food journey. 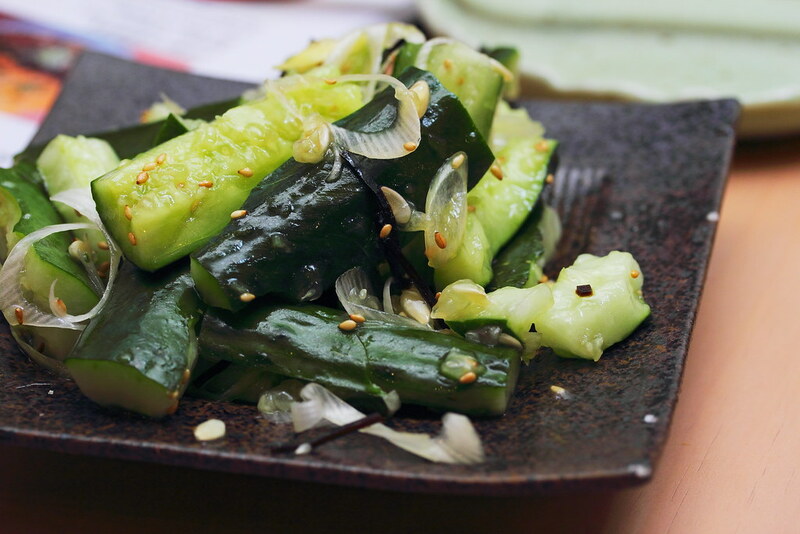 The crunchy Cucumber with Salted Konbu Seaweed ($5) is the perfect refreshing bite for the humble weather. The beef at Hokkaido Izakaya is from Kamishihoro City in Hokkaido. 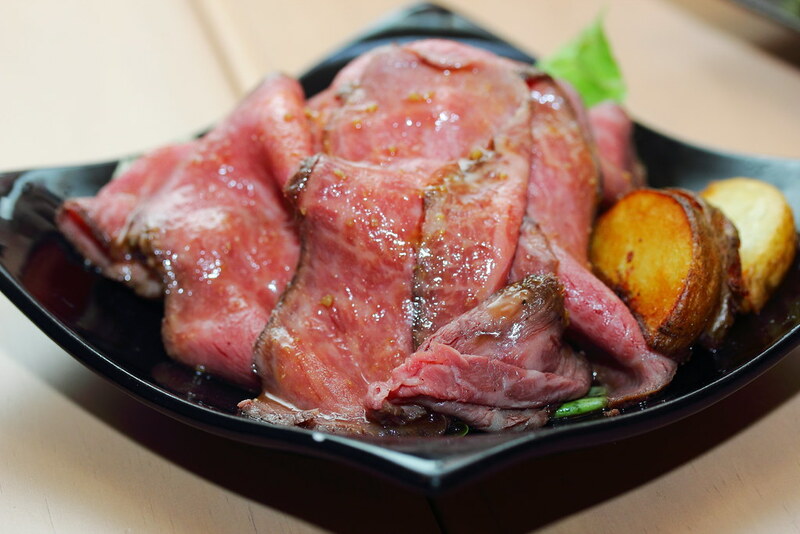 The Seasonal Hokkaido Wagyu Roast Beef ($25) is beautifully flavoured, melted in the mouth marbled beef. 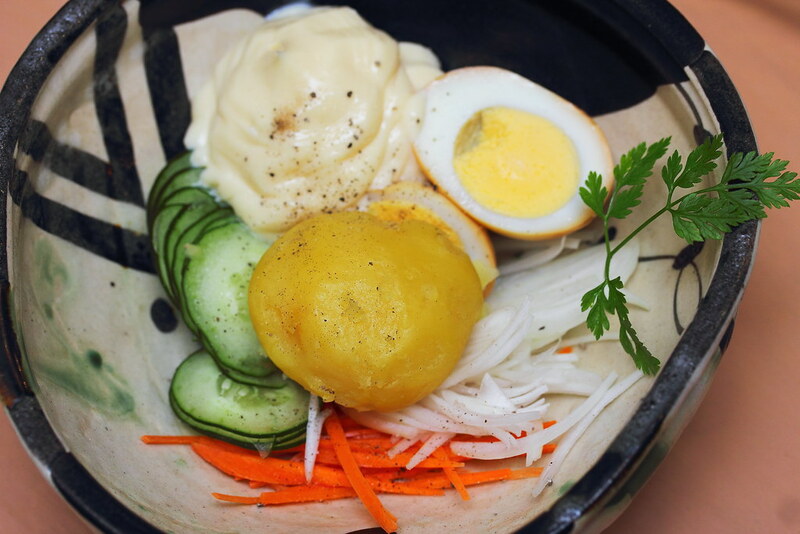 The Potato Salad ($9) at Hokkaido Izakaya is served warm. 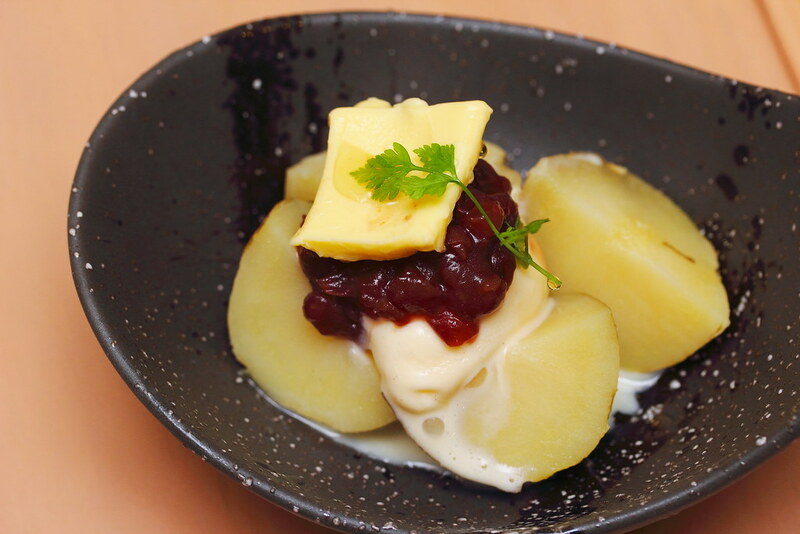 Using the renowned Hokkaido potato, the potato is mashed and mixed together with the other ingredients at table side. Maybe its because of the air flown potato and that it is served warm, it tasted really delicious and comforting. 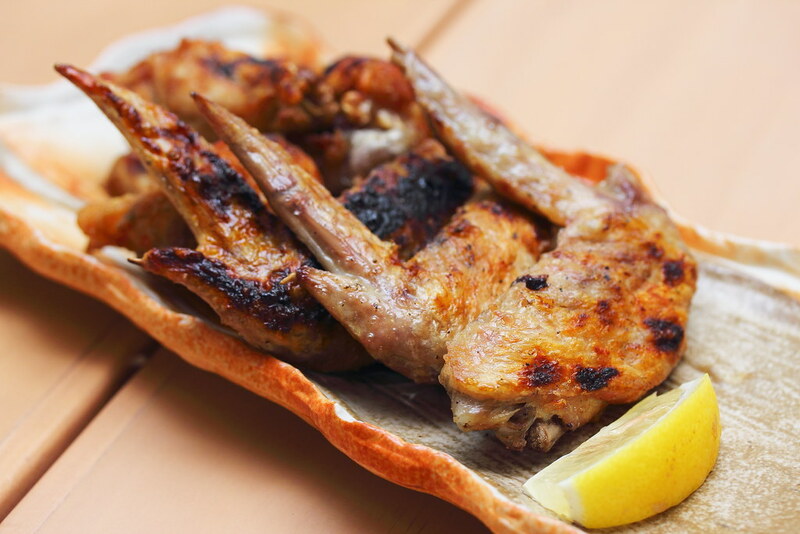 Needless to say, the Chicken Wing ($6), lightly seasoned with salt and grilled, calls for an ice cold beer to wash it down. I was actually looking forward to the Japanese Omelette Mixed with Milk ($10). 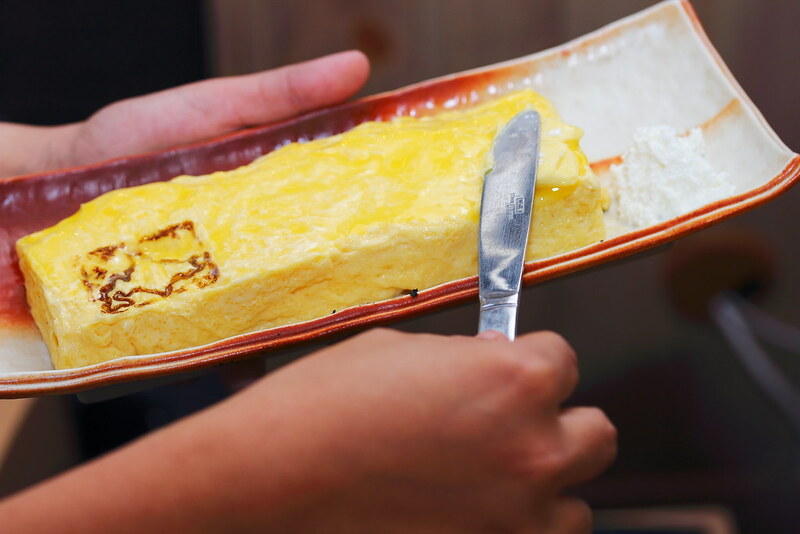 Butter was spread over the fluffy omelette when served. The chemistry reaction of the warm omelette and melted butter arouse the senses even before I had it. Unfortunately I find the tamagoyaki a bit bland. 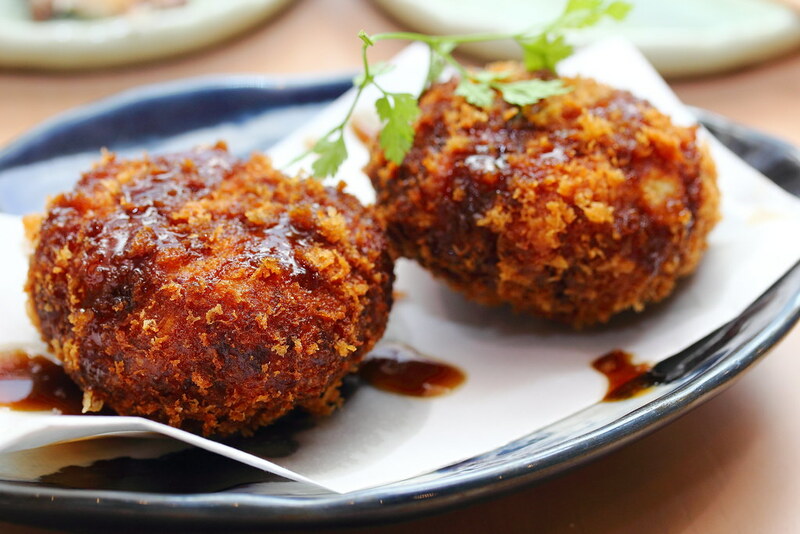 Fried to a golden brown with crispy exterior is the Potato Croquette ($8). The sweet brown sauce drizzled over the croquette completed the whole enjoyment. 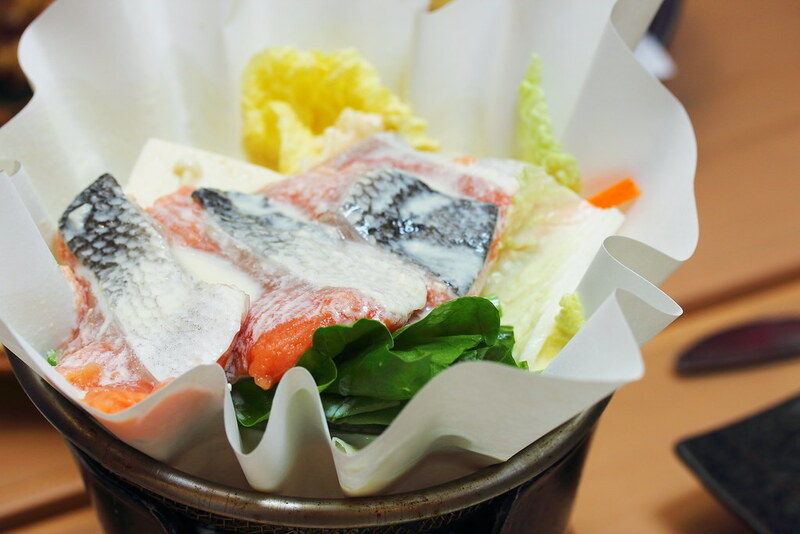 Known for having the best quality milk in Hokkaido, this is used in the Milk Hotpot with Salmon ($18). 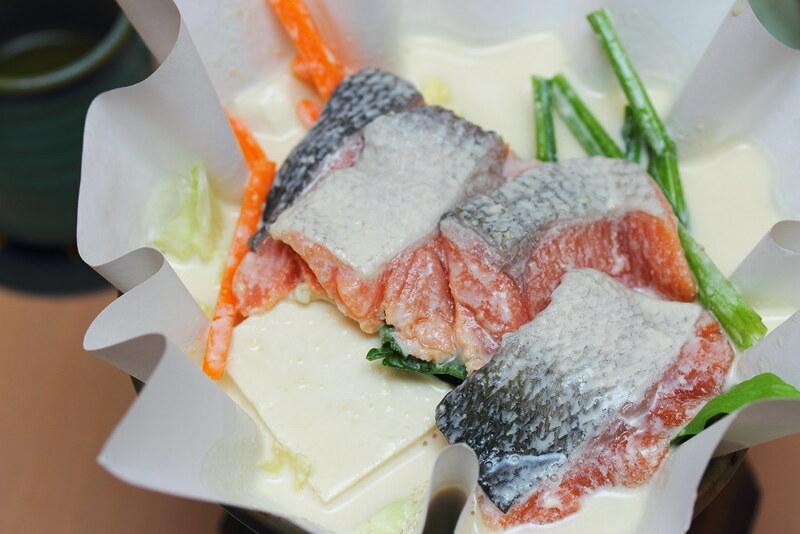 The natural sweetness of the milk is used to cook the beautiful salmon. I have never tried milk hotpot and I really enjoyed the new found way of enjoying the best of Hokkaido produces. Yakumo Town is know for their amazing seafood but I think justice was not given to the Smoked Salmon Belly ($15). I felt like walking into a smoke room and my taste buds were finding hard to find where is the salmon. 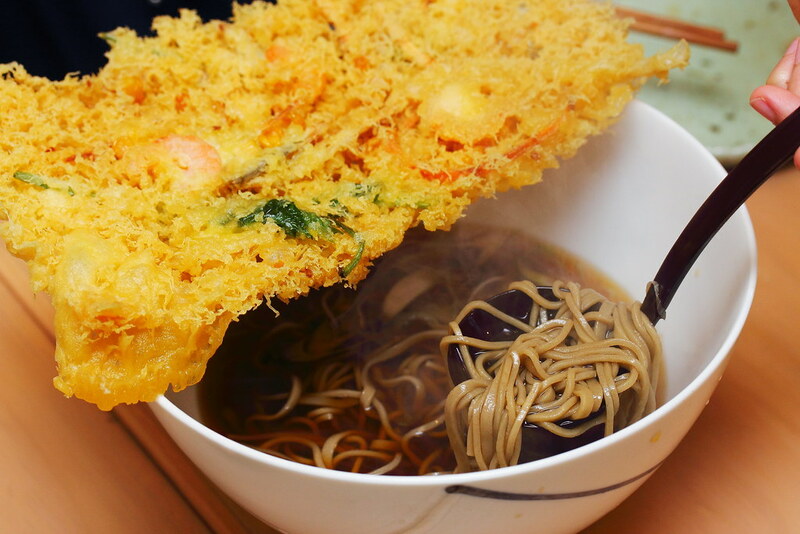 For something more substantial, you probably want to try the Kakiage Tempura Soba ($12). Seldom do I have hot soba and I would say the soy dashi soup is the highlight for the slurping goodness. Unfortunately I did not enjoy the kakiage. and tempura. I was hoping that it is crispy but it was not. It has never come across my mind that we can use potato for dessert. For the chef to pair Steamed Potato with Vanilla Ice Cream ($7) as a dessert dish, he must be very proud of the Hokkaido potato. The sweet azuki beans, vanilla ice cream and butter rounded off the whole enjoyment. 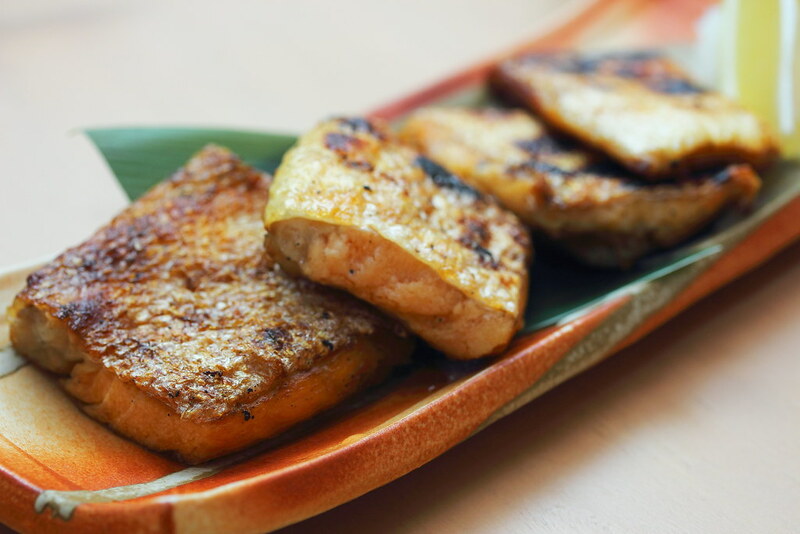 For an authentic Hokkaido izakaya experience using the amazing produces from Hokkaido, let Hokkaido Izakaya's genuine Japanese dining experience transport guests directly to Japan.